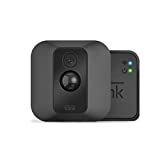 Doorbell Cameras With Free Cloud Storage: What Are My Options? When it comes to having a good security system there are several things a homeowner needs. Among these is a doorbell camera, so they can see who’s at the door and make a decision about whether to let them in. These cameras also work well to make it seem as though a person is home, because they can be used with two-way voice communication that allows the homeowner to talk to the person outside — even when they’re not at home. Overall, it’s a great way to be sure that security is raised and a homeowner can truly feel safe, secure, and protected in their home. But there’s more to the issue of a doorbell camera than just being able to see who’s on the other side of the door. It’s also important for the homeowner to be able to record what’s taking place. This can help if the person tries to break in, or even if there’s a pattern of someone coming to the door after they’ve been turned away. Storage of these images and videos shouldn’t have to cost a lot. But is there a doorbell camera that offers free cloud storage? Companies like SkyBell, August, and Ding have varying degrees and levels of free cloud storage available. Additionally, some security companies will include cloud storage as part of their security and monitoring package. In that sense it’s not really free, but it’s also not an add-on service that the homeowner has to pay more for. This can be a great way to get cloud storage, because it’s all tied to the same company. 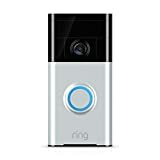 But even if a homeowner doesn’t want to contract with a security company for their monitoring needs, they can still purchase a doorbell that will provide them with free cloud storage so they can have peace of mind. How long the images are stored in the cloud is important, as well. Some companies only store things for 24 hours, so if the images aren’t saved by the homeowner before the time expires, they won’t be able to access them in the future. That can be a problem if they need them for insurance or law enforcement purposes, so it’s better to get a company that will keep the images longer. With a security system, cloud storage can add a higher level of peace of mind. Even without a complete system installed, it’s very comforting to know those images are being stored and can be accessed if they’re needed. Not only does this help solve crimes, but it can also help deter them — and that’s always a good thing. When it’s free it’s even better, so looking for storage that comes free with the doorbell or the chosen monitoring package is the way to go for most homeowners. Getting all of those things in one place can really help a homeowner be happy with the security company they have, and with the ability to save the images from their doorbell camera in case they need them for proof of a crime or just more information.